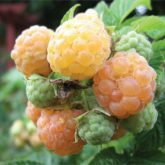 Plant Small Fruits from Gardenland USA! 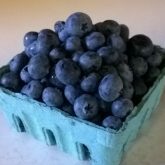 Grapes, Blueberries, Raspberries, Blackberries, Strawberries & more. Plant an edible landscape and improve your personal environment! 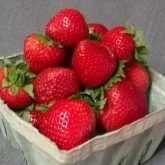 Strawberries (Fragaria x ananassa) An all time favorite of the home gardener! 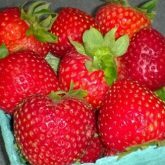 Enjoy sourcing your own delicious berries by planting these virus free plants. Choose from traditional June bearing or extend your season with “Day Neutral” Ever-Bearing varieties. What's the difference between Bare Root and Packaged/Potted? 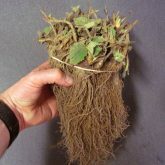 You receive 25 plants, roots packed in moist media for shipping purposes only. 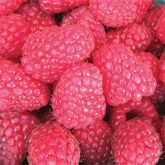 If you know what you want and know what you are doing, a perfect cost effective way to start your berry patch! 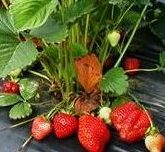 You receive 20 plants, professionally processed and hand rolled in moist media and poly coated paper to give your plants a head start and protect against root damage. 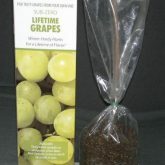 Wrap is secured with moisture resistant sleeve to insure your berries will remain viable until you are ready to plant. 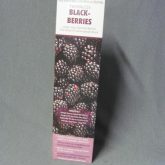 Packaging contains color picture, variety information and full planting directions. Perfect if you’re not yet a “green thumb” or if you may not be ready to plant immediately on receipt. 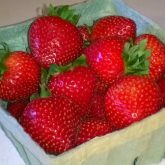 Also a great way to share the fun of growing your own strawberries! Early season with superior flavor. Excellent for freezing. 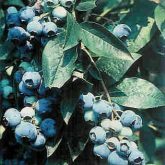 Pick large, juicy, healthy blueberries from your own blueberry bush! Vigorous, Hardy Plants. 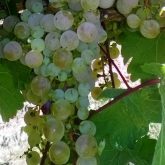 Exquisite flowering & fruiting plants. 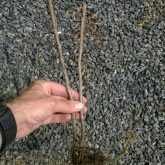 Plant multiple bushes for a living fruiting hedge (plant 4’ apart). 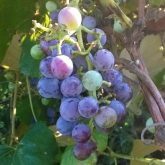 Delicious giant blueberries (up to 1” depending on variety) Waxy green summer foliage followed by bright orange-red fall color. Prefer a good loamy acid soil – a soil rich in organic matter and free from lime. You can easily create this condition by working a liberal amount of peat moss into your soil. Use any good acid fertilizer. 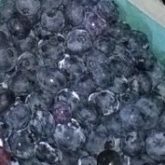 Blueberries are somewhat self-fertile, but larger berries and a higher percentage of fruit setting results from fertilization by another variety, check related products. 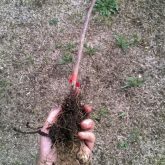 12″ – 2 yr. plant. Just the plant, roots packed in moist media for shipping purposes only. 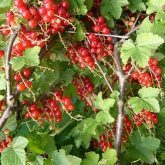 If you know what you want and know what you are doing, the perfect cost effective way to start your own edible landscape. Professionally pruned and potted to give your plant a head start. Roots started in media and wrapped in a poly bag to retain moisture and insure your plant will remain viable until you are ready to plant. Packaging contains variety information and full planting directions. Perfect if you’re not yet a “green thumb” or if you may not be ready to plant immediately on receipt. Also a great way to share as a gift! 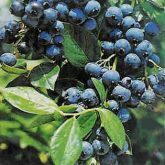 Berkeley blueberry is a very popular home variety. A sure sign of summer! 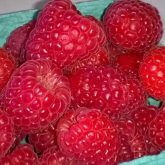 Raspberries (Rubus idaeus x) are not only delicious, they are rich in antioxidants, high in vitamin C, manganese and dietary fiber. 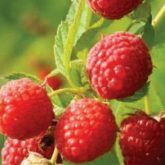 Once established these raspberry plants will provide years of home grown bounty for your table. Easy to grow, hardy vigorous plants. Self pollinating. 2 yr. #1 well rooted transplants. Just the plants, bundled 5 with roots packed in media for shipping purposes to ensure you receive viable plants ready for planting. 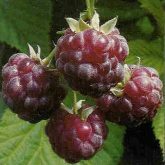 If you know what you want and what your are doing, the perfect cost effective way to start your own berry patch. Professionally packed to give your plants a head start. 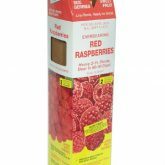 Roots started in media and sealed with a poly bag to retain moisture and insure your raspberries will remain viable until you are ready to plant. Packaging contains variety information and full planting directions. Perfect if you’re not yet a “green thumb” or if you may not be ready to plant immediately on receipt. Also a great way to share as a gift! 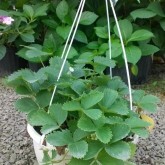 Easy to grow, on trellis, porch, arbor or walls. 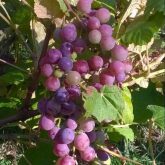 These #1 grade grape vines will last for generations and provide healthy, fresh, juicy, sweet, mouth watering fruit. 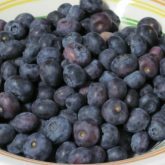 Also great for jams, jellies or canning! 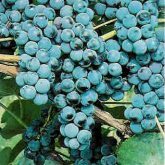 Plant red, white and blue to grow a rainbow grape garden! Winter hardy well rooted plants for quick crops. 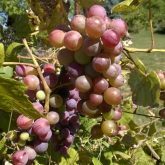 Dual purpose plant – fast growing shade forming vine that attracts birds and bees to your yard or garden! Just the plant, Well rooted vines packed in moist media for shipping purposes. 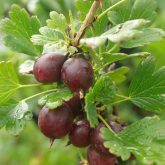 If you know what you want and know what you are doing, the perfect cost effective way to start your own edible landscape. Professionally pruned and packed to give your plant a head start. 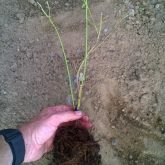 Plant and root ball wrapped in a poly bag to retain moisture and insure your plant will remain viable until you are ready to plant. 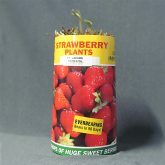 Packaging contains picture, variety information and full planting directions. Perfect if you’re not yet a “green thumb” or if you may not be ready to plant immediately on receipt. Also a great way to share as a gift! 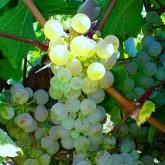 Sweet tasting grape with a hint of spiciness. 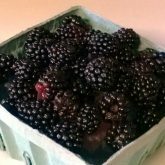 These thornless blackberry plants are upright, disease resistant varieties that produce healthy delicious berries bursting with flavor! 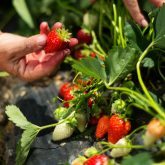 Self pollinating, however for heavier crops – consider planting a second variety. An important part of any edible landscape! Well rooted 2 yr plants. Just the plants, with roots packed in media for shipping purposes to ensure you receive viable plants, ready for planting. 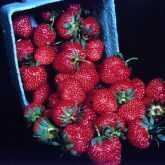 If you know what you want and what you are doing, the perfect cost effective way to start your own berry patch. Professionally packed to give your plants a head start. 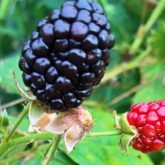 Roots stared in media and sealed with a poly bag to retain moisture and ensure your blackberry plant will remain viable until you are ready to plant. 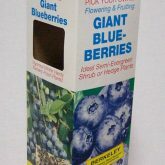 Packaging contains variety information and full planting directions. Perfect if you’re not yet a “green thumb” or if you may not be able to plant immediately upon receipt. Also a great way to share as a gift! 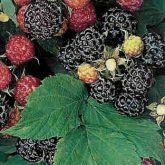 Thornless Sub-zero hardy plants produce an abundance of delicious berries without a trellis! 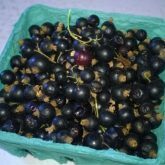 These hardy native plants produce juicy elderberries prized for their many qualities. 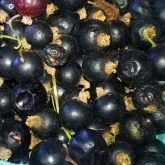 Excellent for pies, syrups, jams, wines etc. 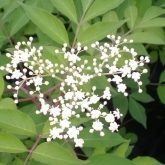 High amounts of vitamin C and many purported health benefits when used as tea, elixirs & tinctures just add to their value in the home garden!